audience: Football, Rugby, Basketball, Tennis, Volleyball, Handball, Cycling, Golf, Formula 1, Motorcycle racing and the Olympic Games. Your benefits: build your audience by integrating a highly professional editorial line and optimize your costs by choosing the events that interest you." Tools adapted to the monitoring of all sports events. "Pass on all the news of your event live, while inserting your tweets, images and videos, etc. The iDalgo Liveblogging tool means you can offer your audience all your events thanks to the multithemed interface, the video and image services, the integration of Twitter and Instagram social networks and the specific ""Sport"" features such as the multisport scoreboard, etc. In the form of a timeline, news is relayed chronologically to report on all the sensational twists and turns in real time. "Provide live commentary on football, rugby, tennis, cycling, Formula 1 and motorcycle racing while adding pictograms and information from our database. 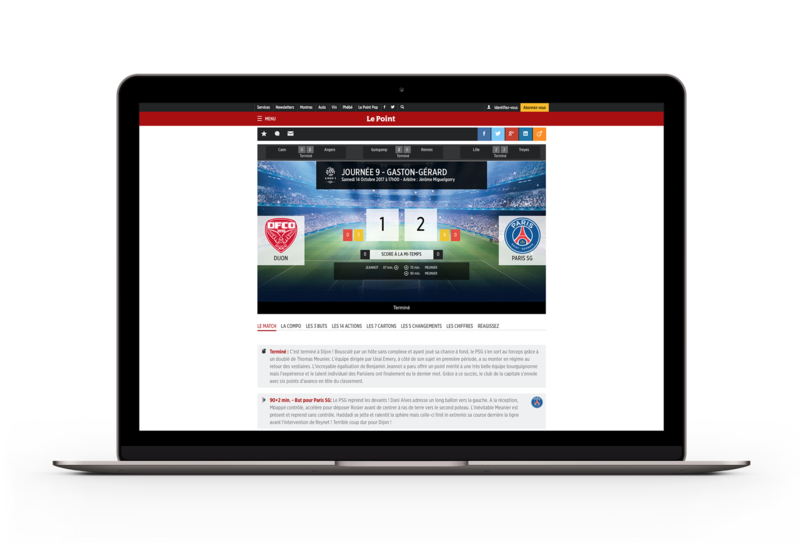 The iDalgo Live Commentary tool, automatically synchronized with the match clock, allows you to follow the event minute-by-minute with preset categories of actions, rapid call-up of data such as the team line-up, names and photos of players, name of stadium, etc." 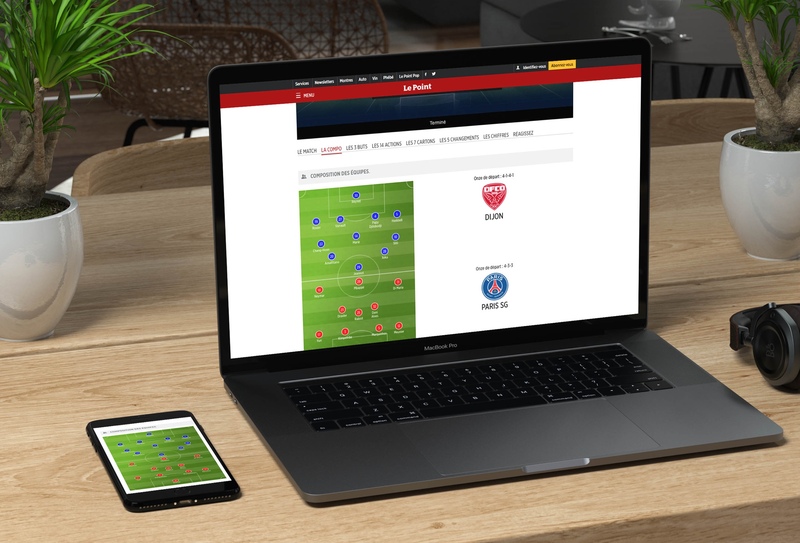 "Create your own lists of players, teams, matches and tweets to add your analyses to the news: the top 10 players of the weekend, the best German teams in the Champions League, the biggest France - Spain clashes, the tweets of the weekend during the Davis Cup, etc. 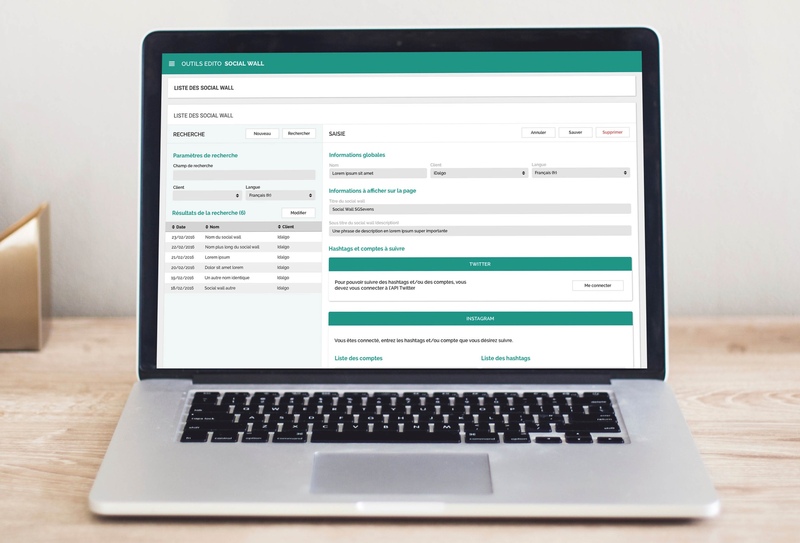 The iDalgo Listing tool can be used to enhance your lists with photos and team logos from the iDalgo database, articles and tweets, etc.